Unlike many tea partiers I’ve been pleased with my experience getting ACA Healthcare (get the name right, willya, labeling it ObamaCare gives your bias away). I found the signup smooth, and have had above par service when I have called them with questions. As a self-employed Type 1 Diabetic, without it, I’d likely be (a) without healthcare or (b) without a home for the cost of care the TPers would leave me with. For a shade under the monthly cost I paid until March 2014 for a COBRA insurance plan (it expired), I was able to get a comparable Blue Cross / Blue Shield health care plan plus a Cigna Delta insurance one. I kept my doctors, but had to shift to a different prescription provider. By the way, this is costing me, out of my pocket, $500 per month. Please thank your employer, give them a hug, for covering your plans. Getting the plan is one thing, and I am finding that getting benefits brings up unexpected challenges, that make me wonder is about HealthCare or InsuranceCOmpanyCare? 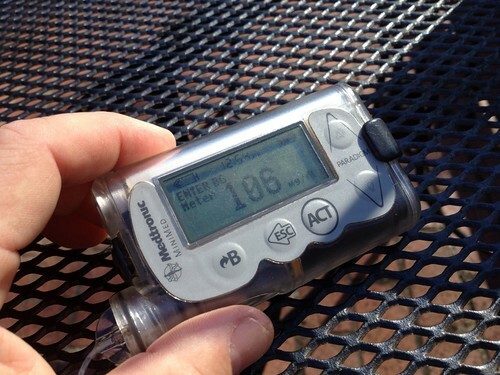 A key part of managing diabetes is regular checking of blood glucose levels. Like razors, computer printers, they give away the device, but collect on the refillables- vials of blood test strips. From there I can estimate how much I plan to eat for a meal, and the pump calculates a proper insulin dosage based on that and the number sent by the blood test meter. My challenge happened last year, because I accidentally left my blood test meter on a plane. When I looked into getting a replacement, I found it was not available; in fact I had to switch to a different meter, a Bayer Contour Next, which actually worked better. This was all fine, because on my previous plan, I could order the Bayer Contour Next test strips from my mail order pharmacy. 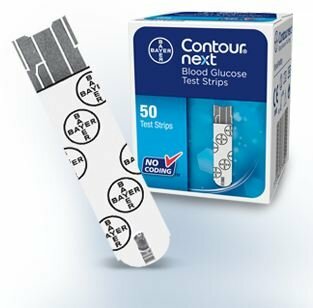 Based on our review, we cannot approve this request for the non-Lifescan blood glucose meter test strips. 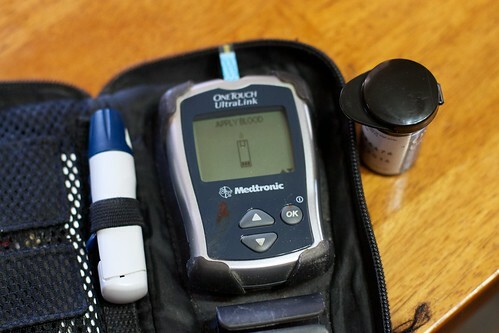 This finding is based on the terms of your benefit plan and the MCMSAZ Pharmacy Coverage Guidelines for the non-Lifescan blood glucose meter test strips. I would sure like to know. I might suspect that the LifeScan company ponies up something to get an exclusive line to patients? To me, having the numbers sent from my blood test meter to the pump is a nice feature that streamlines the process, but honesty, not totally critical- I can manually enter them. I could just switch to the LifeScan meter that tests but does not send the data. Of course, there is another option. 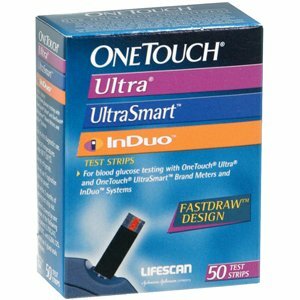 As my diabetic friend suggested, I can order the Bayer test strips on Amazon.com for $15/monthly supply. Cut out the pharmacy and the health insurance completely. Makes one wonder what the overhead is for? Or why this arbitrary rule that costs them more to enforce and administer in paperwork? My idea of the ACA was that it freed people from the constraints of restrictions for pre-existing conditions. But I found out that does not apply to my Cigna dental insurance. In late February 2014, I went to my dentists under the care of my preceding plan. I was told I needed a filling, but I decided to wait until my new dental plan went into effect, March 1, 2014. As usual, I ended up putting this off, but ending up seeing my dentist on August 27, 2014 August 7, 2014. They supposedly checked my coverage– but. The “but” was I got a call a week after from my dentist office letting me know that Cigna had a 6 month waiting period on any work beyond checkups. Waiting period. Isn’t that like a pre-exiting condition exclusion? My dentist office filed an appeal. Yesterday a letter arrived from Cigna letting me know they declined the appeal, and thus I was responsible for the payment of dental care for which I thought I had coverage for. Let’s check the calendar. Six months from the start of the plan is September 1; my visit was 5 days prior. My mistake, it was actually 24 days. That is, of course huge. I fired off one those I Have Twitter and Will Complain things, and got a rather quick response meaning that Cigna is listening for mentions of their company name in social media. @cogdog Hi Alan. I can look into your benefits and the claim for you. Please email me at LetUsHelpU@cigna.com. I'd be glad to try and help. It looks like they are being responsive. Companies do this alot, then shuttle you to a DM or email, so their support/lack is never seen again. I pressed for a public response, got none. I resent the email, which was received somewhere on the internet. @cogdog Hi Alan. I haven't received your email. Would you mind resending to LetUsHelpU@cigna.com? I'll let you know once I've received it. I resent it 8 times. I figured, well, if they do not know how to read email, I can just sent the info. Public. They still pressed for email, asking for my email in a DM. I refuse to take this into a private channel. Support me in public, will ya? I tweeted my email address. Oh, I was supposed to use their “secure” email. This means that the https email I use all the time is much less secure than the web site I log into and read. They will “be looking into this”. Let’s see what they are on the table for. The bill from my dentist was discounted $100 insurance rate to $210. If covered on Cigna insurance, knock off $50 for my deductible, that gets it to $160 they might cover. Then knock off $32 for the 20% I would pay for the coverage. This means Cigna is screwing me over a $128 coverage for treatment they might pay for a freaking technicality of 5 days too soon? (consider I have already paid them $180 in premiums this year). Next year, I will drop Cigna like an anvil; I will brush and floss regularly and pay as I go for my teeth. In both cases, I am lost to understand the efficiency of administrative overhead (the mailings, the staff cost of processing appeals) for what to me are extremely arbitrary rules that have nothing to do with healthcare. Yep, it is a smooth operating thing of beauty. UPDATE September 23, 2014: No word at all from Cigna via twitter, their secure email, or any other transmission. I am spending my time tonight writing an appeal letter. I am sorry for the delay. The call history was reviewed on your account and unfortunately an exception cannot be made. The waiting period applies and the dental office called in after the service to inquire about the waiting period. I will not renew my CIGNA dental insurance when open enrollment occurs in November. I will continue to let people in social media know CIGNA treated my claim. Upon returning home from my trip is a letter from Cigna stating that my case goes to a review board October 22, 2014. I can participate via a phone call. I wavered whether to do this– if followed to the letter, I have no case to stand on. I did not read my plan details closely and my dentist did not check my coverage sufficiently, ergo Cigna is not responsible. But I am curious to hear how this pans out. This is so outrageous! 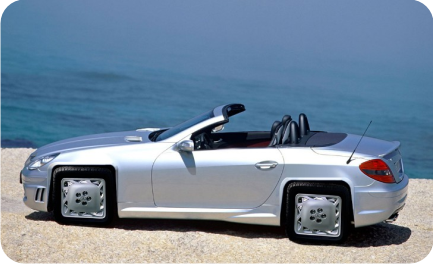 Can you call the insurance commission? I’d also ask them what government agency you would file a complaint with! I will definitely warn people I talk to about Cigna! Thanks for sharing. What a story! It is interesting to me that Cigna (not uniquely) uses twitter as a sort of back channel to address issues that the official policies cause. If that method helps the consumer, great. But does it ever fix the policies or the other internal decisions? On occasions when I have called for “customer support” I have asked if the person has a method to notify anyone with suggestions for improvement. There have been mixed results. Sometimes, it is an honest “no.” Mostly it is a “I’ll make a note of it.” And I’ve never discovered anything changed. And, it is eye-opening to note that open-market prices (Amazon) are fractions of what an insurance company charges for copay. I guess we all need to shop around for the best deals, and not just take there “that’s the way it is” approach. Best wishes for good health care! I just sent them a link to my post via their hidden from the public secure email system. I asked if going through all this effort to avoid paying out $128 is worth losing a customer, who will also blog about them publicly. Oy, what a pain! I have no doubt they’re in cohorts with whoever makes the one product they’ll support over others. We never signed up for a dental plan. I figured that paying retail was not as expensive as the plans for routine work. Keep your teeth gripped on the leg of CIGNA and thrash them around a bit! Yeah I am not seeing the benefit of the dental plan. In a year I pay $400 for maybe $200 they might pay. Upon learning that my asthma inhaler would no longer be covered, my doctor wrote a new Rx. Exact same medicine, just a different company. He told me that insurance cos sometimes make deals with specific manufacturers, then pay only for that manufacturers brand. I didn’t even compare the copays of the two. Gotta love the free market…? Nah.